NO Enhancers – These are the ‘typical ingredients’ found in the pre workouts of your most weight pounding workouts – beta-alanine, citrulline and citrulline malate, as well as two (in our opinion) fairly underrated pump ingredients – arginine malate and norvaline. Put these together and what do you get? 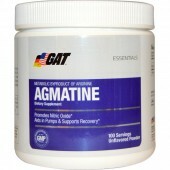 A great hit of blood-flow and endurance-boosting ingredients. Pump Accelerators – It just goes to show the recent focus on pump-boosting pre-workouts nowadays that you can have separate pump blends in the same product. PMP not only has the nitric oxide enhancers listed above, but also a combination of ‘pump accelerators’ which include agmatine sulfate, glycerol monostearate, AAKG and calcium lactate. 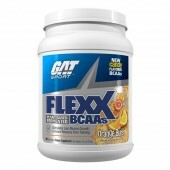 This is an awesome addition to any pre workout/pump product, we approve. 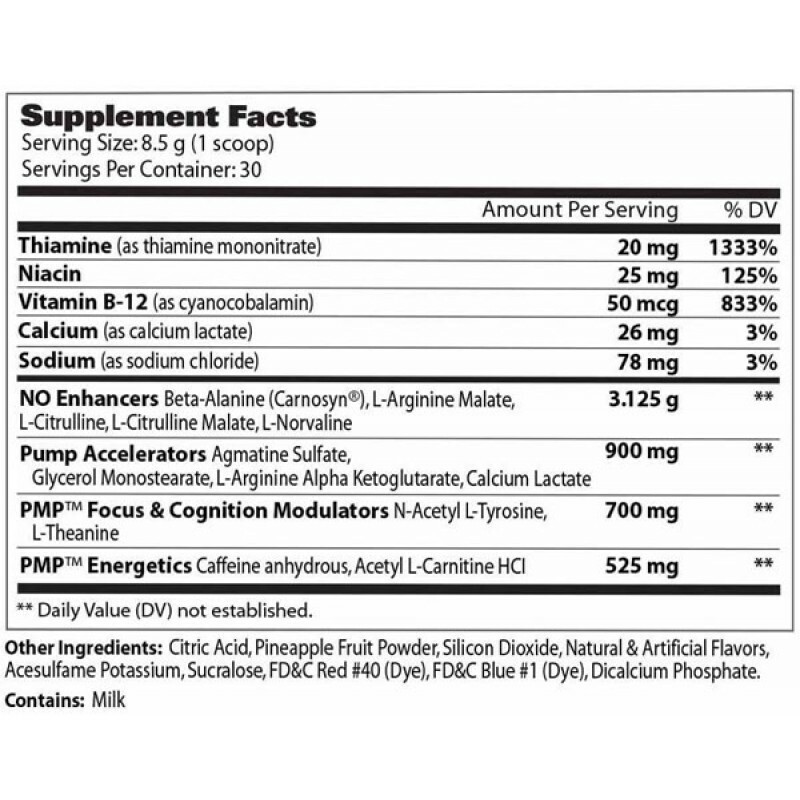 Focus Modulators – Next up we have two ingredients included for their focus enhancing capabilities – N-Acetyl L-Tyrosine and L-Theanine. These two ingredients are pretty widespread nowadays, but having said that , they are two of the better ones for focus, concentration and that awesome tunnel-vision feeling you get in the weights room on a good day. 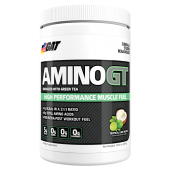 Energetics – This blend includes two products in the regular version – Caffeine Anhydrous and Acetyl-L-Carnitine HCl, but take out the caffeine for the stim-free PMP. 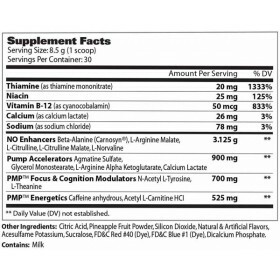 Acetyl-L-Carnitine has a wide variety of uses, but in this case it’s being included for its’ cognitive enhancing capabilities (so maybe it should be in the Focus blend?). You’re getting a 325mg hit of caffeine anhydrous in the regular PMP, which is a fairly hefty dose for most people. 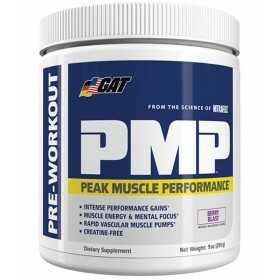 GAT PMP is definitely one of the better products of it's kind out there, if not for full doses then at least for a comprehensive blend of the best pump-enhancing ingredients on the market, with some great flavours and stim-free and regular options. 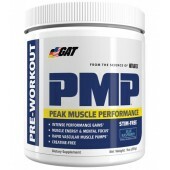 PMP’s definitely worth a try, and a solid effort from the new line of GAT supplements.